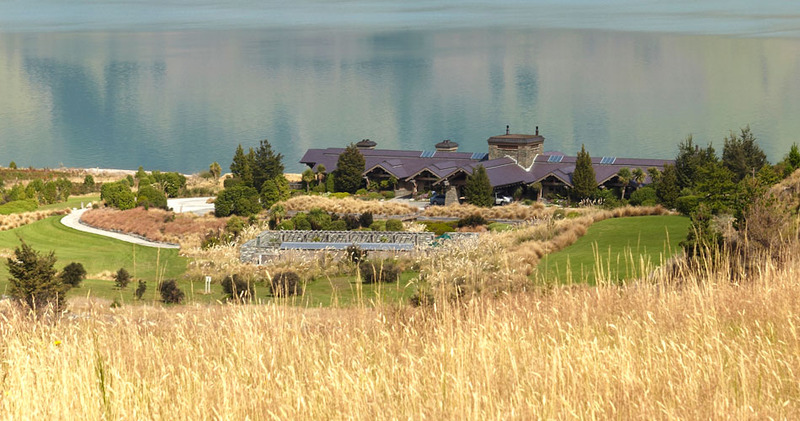 This stunning backcountry retreat sits on the lakeshore 45 minutes outside Queenstown in the Southern Alps New Zealand. Lofty beamed ceilings, rock fireplaces and vast picture windows frame the heroic stone and timber lodge housing the Great Room, Den, Game Room, Gym, spa and several indoor/outdoor dining venues. Twelve rooms offer every conceivable amenity. 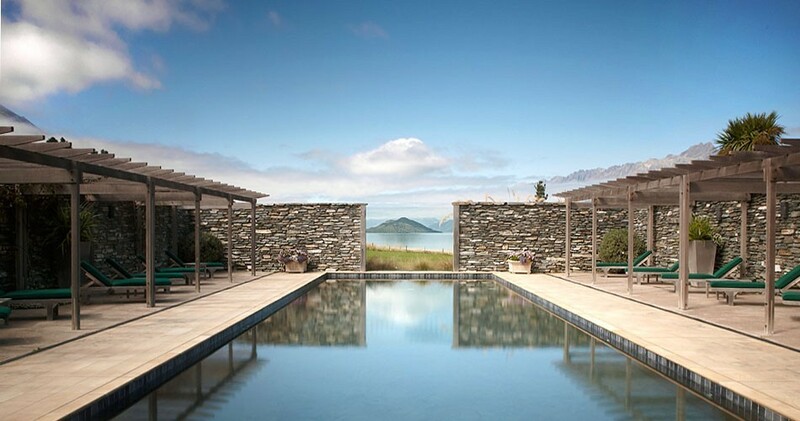 Activities include an outdoor lap pool, bush walks, fly-fishing, jet boating, horse riding and scenic heli-flights to Milford Sound. We have just returned from a wonderful trip to New Zealand. The success of the trip is due to the pain staking work of Donna Thomas and her staff at New Zealand Travel. I had read guide books but none of them gave me the great advise and personal experience of Donna. She knows the country well and customizes the trip to your needs. She ties together all the loose ends and prepares the trip that you are dreaming of from the larger brush strokes down to the precise details. Everything went smoothly, and as travelers know, that rarely happens. This only happens when your travel agent spends lots of time getting to know your wants and needs and translates this into the trip you were imagining. That's Donna! I highly recommend Donna and her efficient staff at New Zealand Travel. Let her share her expansive knowledge of the country with you to make your trip the best ever.